Planning has begun! Since we school year round I need to be ready to start the new school year in July. As a result, I have to start preparing now. What you will see here is a list of my curriculum choices. This is only the start of the planning process for me. I often adapt and supplement a curriculum to make it fit my child. I also enjoy making up my own unit studies for my kids so it can take a bunch of time to pull everything together, hence the need to start now. I’m planning on putting together unit studies on these topics: Names of God (primarly for 7th and 5th graders, but also some participation by 1st grader), Old Testament types and shadows (also primarily for 7th and 5th graders with project participation by my 1st grader), Nutrition and Fitness (for all 3), World Poverty (for 1st grader), Africa countries and culture (all 3), Documentary-based Early Modern History (7th and 5th graders), and Magic School Bus (1st grader). I’m listing my tentative plans for my upcoming 7th, 5th, and 1st graders. This year I’ve started to get into the swing of working with 3 kids rather than 2. It has been a difficult transition for me, but I think the major kinks have been worked out and I’m now finding ways to see to all 3 of them during the school day. We have been doing baking competitions this school year and my kids have loved them. We have several more to do before we finish this year. Next year we will continue, but my kids will be cooking entrees according to a theme like Italian food, Indian food, or another cuisine. Some of these curriculum choices will be started later in the school year. We don’t always finish a book at the end of a school year and we often start new books at different times during the year. I expect a good portion of the school year will be spent using these choices though. My 7th grader is a diligent learner who enjoys the process of learning. He is strong on the language arts front and has a high interest in science. He has plans for a future in a STEM field, so we are using a strong math program. Science: Miller Levine Biology Macaw iPad edition with labs (finish) and Hewitt Conceptual Physics. Engineering Everywhere units with brother. Language Arts: Classical Writing Poetry for Older Beginners, NaNoWriMo, Harvey’s Elementary Grammar 2, Classical Writing Diogenes Maxim, Movies as Literature, Excellence in Literature as a literature guide only. My upcoming 5th grader is a visual-spatial learner who shines when encountering creative problem solving. He also has dreams of a future in a STEM field. As a result, I’ve incorporated lots of creative problem solving into his science studies. Because he is a visual-spatial learner I’ve found that I need to approach many language-heavy subjects in a different manner. History: Documentary-focused early modern world history with McDougal Little Modern World History book and the A People’s History of American Empire by Zinn. My youngest child will be entering 1st grade. When we started homeschooling, she wasn’t even born! I haven’t quite figured out how to best teach this kid yet. I suspect she is a highly creative visual-spatial learner too. Only time will tell for now. Foreign Language: Finish Hey, Andrew! Teach Me Some Greek! – Level One and start Song School Greek, Arabian Sinbad, Arabic alphabet apps and start Alif Baa , My First Chinese Words, Mandarin videos, and apps. 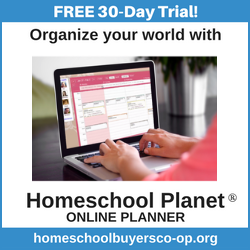 1st grade curriculum, 5th grade curriculum, 7th grade curriculum, curriculum for 1st grade, curriculum for 5th grade, curriculum for 7th grade, homeschool curriculum, homeschool curriculum choices, homeschool planning. Bookmark.